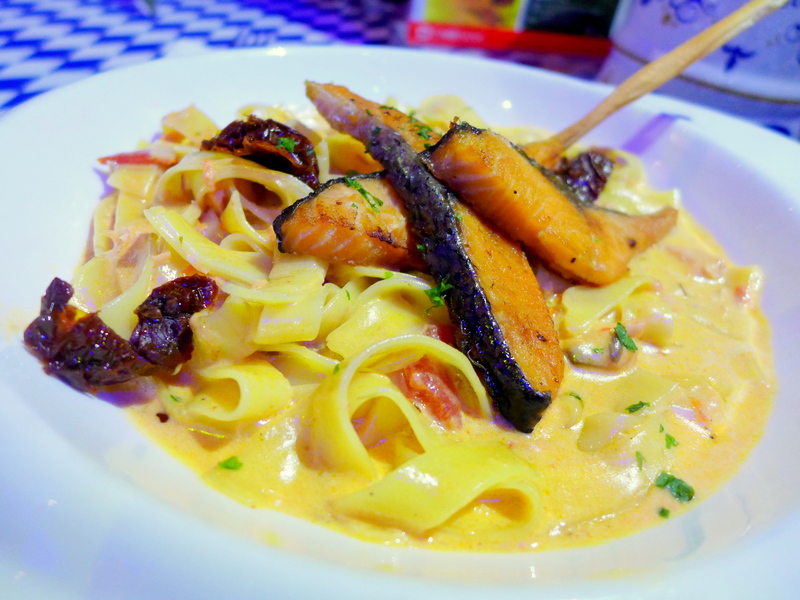 Oktoberfest is back! 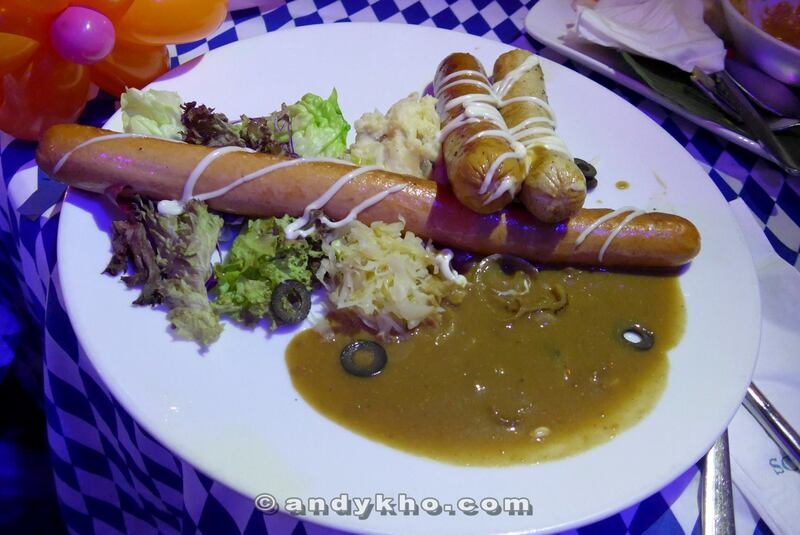 I had my virginal Oktoberfest experience last year and had heaps of fun. 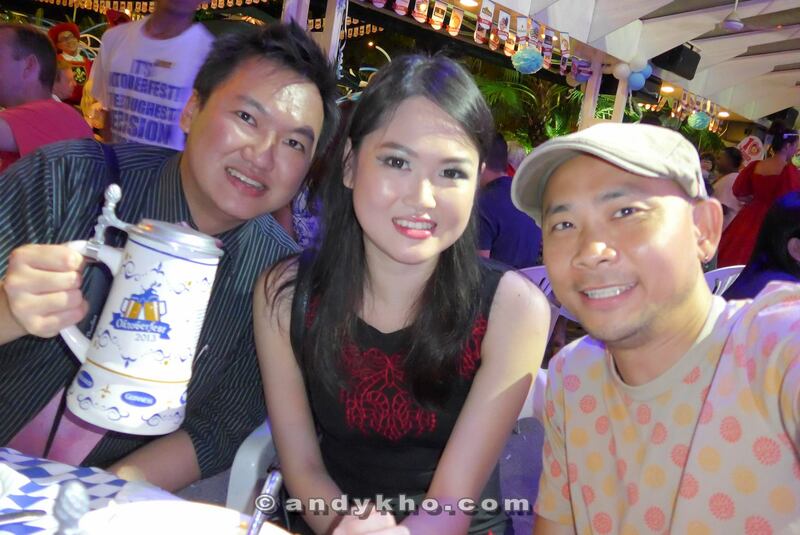 This year, my schedule is rather crazy but I dedicated at least one night to attend one of the parties organised by Guinness Anchor Berhad at Souled Out, Sri Hartamas. It was also a small extension of my birthday celebration, of course. It’s great to see that Malaysians embracing different European cultures (I guess any excuse to drink, huh? ), be it St Patrick’s, Arthur’s Day, and many more. Oktoberfest initially started in Germany as wedding celebration in 1810 to commemorate the union between Crown Prince Ludwig (who later became King Ludwig I) and Princess Therese of Saxe-Hildburghausen at Theresienwiese (translated as Therese’s meadow / field). 1 Litre Ceramic Oktoberfest Mug (Special Edition with lid). My choice was Paulaner, of course. 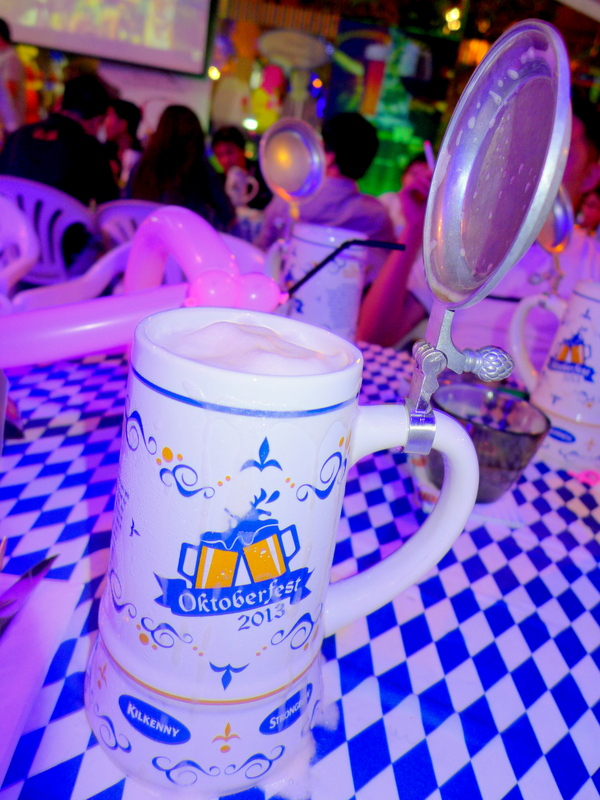 To me, the authentic Oktoberfest experience includes the giant 1 litre Ceramic mugs. Whenever you purchase your favourite GAB brew (Tiger, Guinness, Heineken, Kilkenny, Strongbow or Paulaner) this entire month from 7th Octobers to 3rd November at participating GAB outlets, you’ll be able to collect the mugs. The best part of this promotion is that the first refill of your 1 Litre Ceramic Oktoberfest Mug is absolutely free! There is also a limited edition with metal lid as pictured above, but they are only available at Oktoberfest themed parties. I will list the locations at the end of this post. Well, I guess that was the real reason I was there last night. 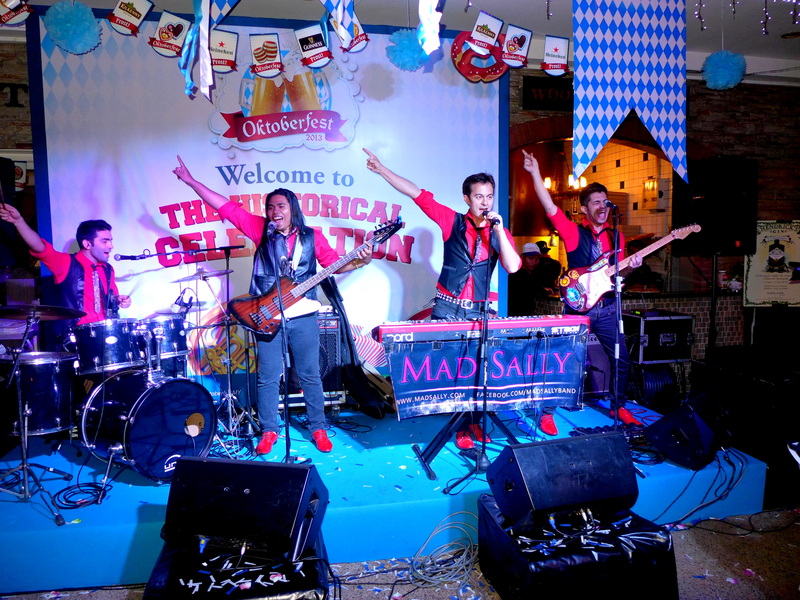 Mad Sally has adopted me as their female singer and I perform with them quite regularly (in fact was performing with them just the night before at my mini birthday celebration). So not surprisingly, I was invited on stage for a couple of songs. It was fun to have people singing and dancing together, and there were a few Chicken dances involved too. Apart from the music, we got to play a few games as well. Mostly throwing objects like ping pong, tennis balls, giant pretzel (!) around. Arm wrestling too, of course. I’m pretty bad at it so I let the other girls play. The MC also invited some guests to play games on the stage and I think the most interesting one was the Beer holding competition, “Masskrugstemen“. Basically, the contestants started off holding one of the 1 litre Oktoberfest ceramic mugs filled to the brim with beer (around 2kg) in their hands and hold it for 30 seconds, then followed by more mugs until they can’t carry anymore. The world record is currently held by a German restaurant manager, Reinhard Wurtz, who managed to carry twenty mugs filled with beer for 40 metres without spilling. Unbelievable! Still got a few more to go so mark your calendar! For more information on the entire GAB Oktoberfest campaign, do drop by the official GAB Oktoberfest Malaysia Facebook page at www.facebook.com/OktoberfestMY. 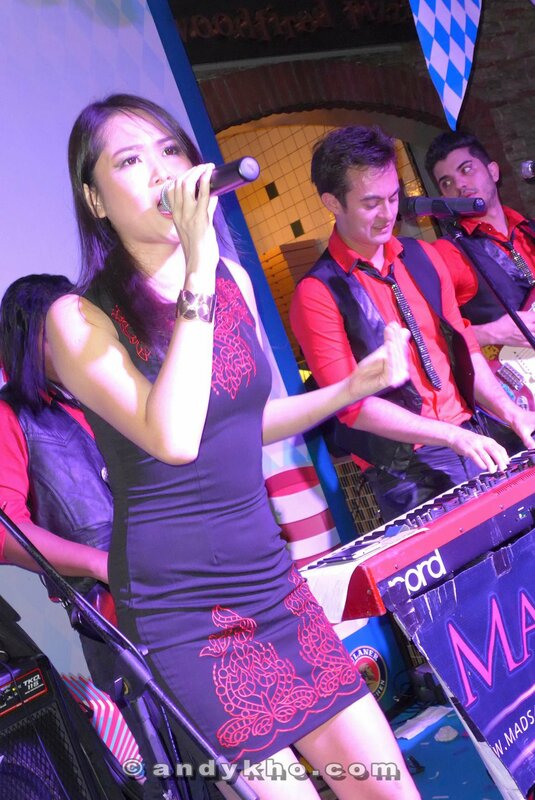 More photos at Malaysia’s Hottest Bloggers’ facebook page. Thank you Andy Kho for some of the photos! Oompha! Oompha! So much fun. Used to join such events at Holiday Inn, Kuching a long long time ago. Why, the hotel’s no more there…or actually it is, different name, different management. Was a real happening place way back then. I have stayed in Holiday Inn Kuching when I was in high school too! for you if you usually do not mind. Is it just me or does it look like some of the comments look like they are coming from brain dead visitors?